With the tag <meta http-equiv="X-UA-Compatible" content="IE=8" />, I can fix the document mode to IE8. However I can't lose the Compatibility View - and this is causing some aspects of my site to break (specifically, some AJAX functionality). Do you have any idea (a) why IE8 is rendering my site in Compatibility View from localhost when it renders normally on a remote server, and (b) how to prevent/circumvent this problem? Not the answer you're looking for? Browse other questions tagged internet-explorer compatibility internet-explorer-8 or ask your own question. 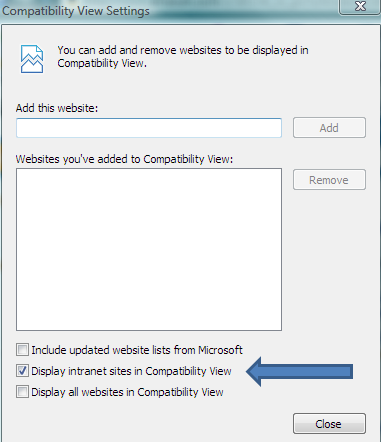 What EXACTLY does Compatibility View do in IE8? How do I serve XHTML to Internet Explorer without breaking Chrome? What version of IE does Compatibility View use by default? Why does Internet Explorer's Developer Tools only emulate back to IE7? Website only displays correctly in IE using compatibility mode? Why are Win7 IE browers running in IE7 mode? When updating to HTML5, will adding <!doctype html>, <article>, and microdata result in rendering problems in older browsers? Is compatibility mode in IE enough for verification?